This is the ultimate home defense weapon! 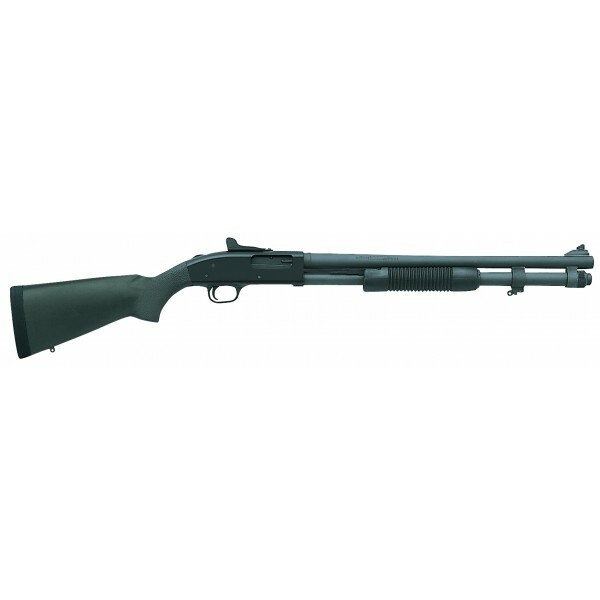 Mossberg 590 Persuader Tactical Special Purpose 12 Gauge 20" Barrel Pump Action 9 Shot Shotgun With Ghost Ring Sights & Fixed Stock. This is one of the most durable shotguns in the world, and it is backed by years of service in law enforcement and military operations worldwide. It will handle all 2 3/4 & 3" shotshells and comes with a fixed cylinder bore choke. Mossberg 590 Persuader Special Purpose 12 Gauge 20" Barrel Pump Action 9 Shot Shotgun With Ghost Ring Sights 50663. Chambered For 2 3/4" or 3" Shotshells. This is one of the most durable shotguns in the world. Performance & versatility; this Mossberg 590 pump-action shotgun is the tactical platform you can count on for your security needs. They have the credentials and track record to prove it. In their commercial form, the Mossberg 590A model is the only pump-action shotgun ever to pass all stringent U. S. Military Mil-Spec 3443 standards.